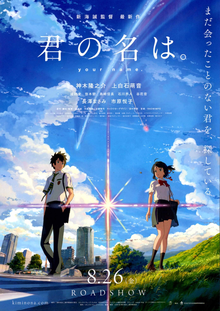 Japanese anime could not come in any more “classic” form than Your Name, a fatalistic tale that’s telling us we can still make our own fate. It does so by pointing us at two characters, a girl from a small rural Japanese town and a similarly aged teenager from Tokyo. For an unexplained reason, the two occasionally wake up in the morning in the other’s body. Not a bad tale, but neither is Your Name a good one; there are just too many colliding ideas. As I said, typical Japanese. 3 out of 5 crabs.